Last year, I wrote about mixed CrossFire and by that I mean joining video cards like the Radeon HD 3870 and a Radeon HD 3850 together in CrossFire for a better gaming experience. At first this might seem like a silly thing to do, but for those upgrading their system on a budget it makes perfect sense. If you buy a Radeon HD 5870 for example, and six months to a year down the road a friend of yours is selling his prized Radeon HD 5850 to pay off some bills for an insanely low price, you can buy it and CrossFire them together for better gaming performance. Today, we are looking at ATI's flagship Radeon HD 5870 video card and will be pairing it together with the Radeon HD 5850 video cards seeing how they work together in mixed CrossFire. We've previously reviewed both of these series in CrossFire before, but never dared to look at them mixed together and running CrossFire. We tried to run a Radeon HD 5870 together with a Radeon HD 5750 earlier this week, but found that this is not a supported CrossFire configuration. 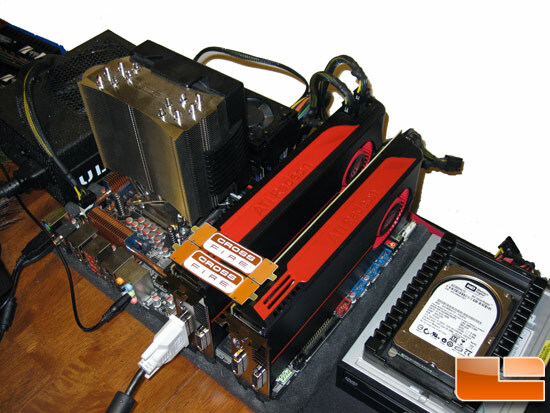 You can't combine a Radeon HD 5800 series card with a Radeon HD 5700 series card and have mixed CrossFire work. ATI says you only need to use one interconnect, but since our cards came with two interconnects we used both as it does look better having both installed. We have tried benchmarking with just one interconnect and then again with two and didn't notice any differences in performance. Installing the CATALYST drivers for both the Radeon HD 5870 and Radeon HD 5850 was easy and both cards were up and running in minutes. 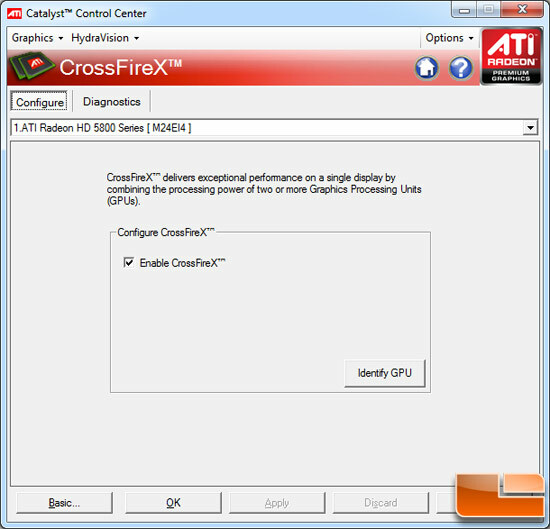 ATI CrossFire was also enabled by default with this mixed and matched CrossFire configuration, which is pretty slick. 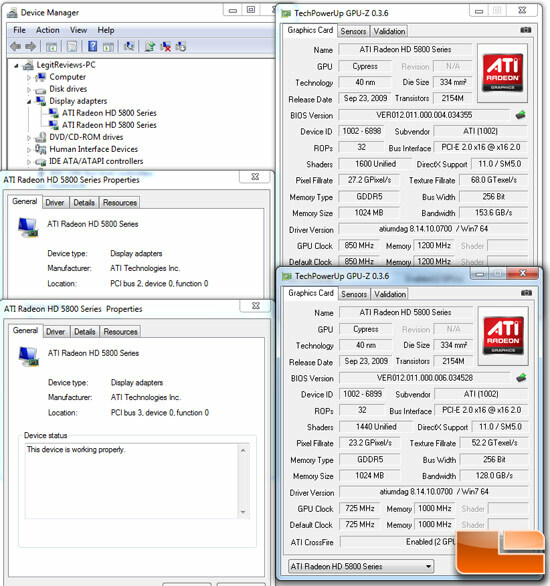 The one problem that we did have when running this configuration on our Windows 7 64-bit test system was that GPU-Z 0.3.6 would lock up and freeze the system every time the application was launched. I contacted W1zzard who makes GPU-Z and he informed me that I needed to turn off ULPS. In order to do this I had to search the Windows 7 registry and set every ULPSEnabled value in the registry to 0. W1zzard went on to explain that in ULPS the slave card is mostly turned off, so when GPU-Z tries to map the video BIOS, Windows actually hangs because it can��t do anything with that section of physical memory (the GPU doesn��t return data because it is ��off�?. W1zzard is working with ATI on resolving this problem, but so far it has been a dead end as companies like ATI and NVIDIA hold their hardware registers under lock and key as it is basically direct access to the video card. Manually changing the registry values worked though and that is how I was able to show you the GPU-Z screen shots from both the Radeon HD 5870 and Radeon HD 5850 while running mixed CrossFire as seen above. Before moving along to benchmarking, I checked inside CATALYST Control Center 8.66.6 to make sure CrossFire was enabled and as you can see from the screen shot above, it was. · Page 5 - Tom Clancy's H.A.W.X.